File upload plays an integral part in many web applications. It is used in programs such as email clients, chat applications, commenting systems, among others. In this article, we will be building a public file upload and sharing service. It will have a Node.js-powered backend and a Vue.js-powered frontend. 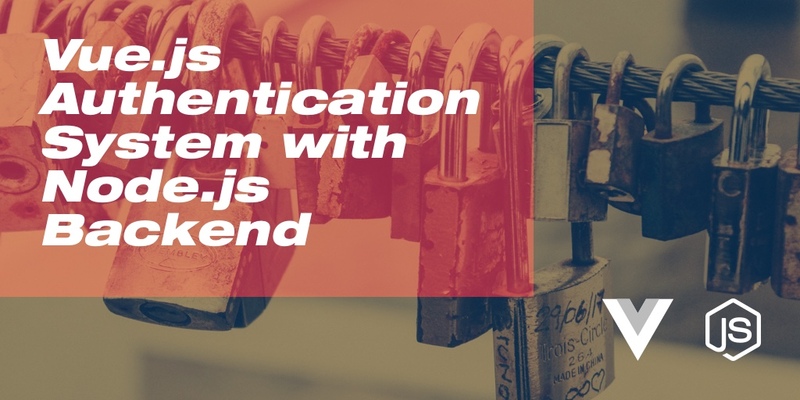 The service will be used anonymously and won’t have any authenticated users. We will submit the file through AJAX and store it in the backend filesystem. The file meta-data information will be stored in a MongoDB database. All the uploaded files will be listed on the homepage of the application. Upon clicking the name of the file, we will make a request to the backend to download the file. We will also be able to delete files. We will include a URL-shortener feature in the application to make it easier to share links. This will be achieved by generating a unique hash for each uploaded file. We will also add a mechanism to restrict which file types can be uploaded with the application. Before we can install any of the packages, we will need a few things. We must have Node.js installed on our system along with the MongoDB database. btoa: this will help us create a unique hash for a file so we can have a URL shortner functionality. body-parser: this makes it easy for the backend to access parameters from the frontend. mongoose: this is an ORM library. It helps to insert and manipulate data using a MongoDB database. multer: this is a library which allows us to receive and store files in the backend. Here, we are using Mongoose.js to create the model to represent a single file. This is what we will use to query the database for uploaded files. To use it, we only have to import the exported module from the file. In the lines above, we are requiring several libraries. We have also included extra native Node.js libraries: async, fs and path. The function for async is to perform many asynchronous operations. When all operations are complete, we have one success callback. fs is used to create, delete and manipulate local files. Finally, we use path to create folder paths in a safe way depending on the environment. The supportedMimes config will enable us to restrict which file types we will allow for uploads. The keys in the object are the mime types and the values are the file extensions. The uploadsFolder configuration is used to specify the directory name for uploaded files. It is relative to the server root. In the dbConnection configuration, we are specifying the connection string for our database. The Mongoose library will create the database if it does not exist. This exports an object with a method called getAll which fetches a list of files from the database. For now, the method only exists but isn't connected to any route so the frontend has no way of accessing it yet. Let's build our first route to fetch uploaded files. Now, the route is ready to serve files from the backend. The registered route will live at the location localhost:3000/api/files. We do not have any files in the backend yet. If we visit the URL in the browser, we will get an empty array response. In the backend console, we should notice a message titled: File fetched successfully. Do not forget to restart the Node.js server. This will receive the files but will not insert any information in the database yet. We will get to that in the next chapter. This method returns some configuration for filename construction. It will set the destination for the uploaded file. Then it filters files so that we only upload the ones specified in the file config/file.config.js. We cannot test the upload functionality with our current setup because we have not written the frontend yet. There is a tool called postman. It is designed exactly for that. After the multer library stores the files (locally) it will pass the file list to the callback above. The callback will create a unique hash for each file; then, it will store the file's original name and hashed key in the database. The async part is necessary because the meta-data insertion happens asynchronously for each file. We want to return a response to the frontend only when all the information has been saved. Any file which fails the filter test of the multer middleware will not be passed to the uploadFile callback. If no files have been uploaded, we will return an empty array to the frontend. We can then deal with any validation however we wish. The frontend application will be running on the URL localhost:8080. We have covered more details about the above configuration in a previous article, so check that if you’re facing any difficulties. Let us create a component to list files. This will be responsible for fetching files from the backend. It will also loop over the list of returned files and create many instances of a child component called UploadedFile, which we will create later. To begin with, create a component in src/components/UploadedFilesList.vue. All that this component is currently doing is display the file name. The delete button does not currently perform any action but we will get to that later. Next, let's configure the router for our application so we can display the list of files. At this stage, we can list files from the server. Our next task is to add the ability to upload files. Let us break down what is happening in these components. This is using HTML5's native FormData API. This calls a method named startUpload which is responsible for setting the status as actively uploading. Then, it calls another method which sends the formData property, containing the files to the backend. And it will only show when an upload process has started. The “start upload” button will only display when there is no upload in progress. The input field will also be hidden when an upload is in progress. This will receive the uploaded files so we can pass it to a method named filesUploaded in the component src/components/UploadedFilesList.vue. This will make sure the list is updated. Now that we have the ability to upload files, let's make sure we can download them. 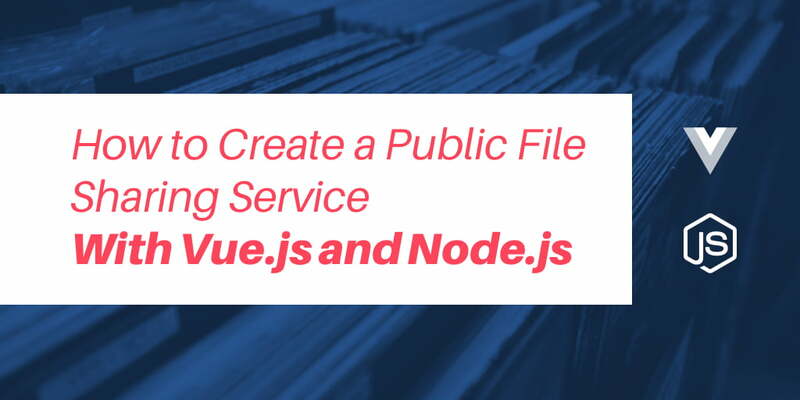 First, create a component in src/components/FileDownloader.vue. This component includes an iframe in the template. Anytime the source for the iframe changes, it will make a request to that URL. This generates the appropriate URL by binding to the encodedName property of our file props. Let's make sure that the download is triggered on every click. We have to bind the download component's key to a data property on the parent component. This key is incremented on each click of the download link. This forces the iframe to rerender and hence triggers the download. This sets up a route which accepts the hashed key of a file as an argument. This argument is then used to fetch the file from the database to get the real name of the file. Then, we reply with a download response. When we restart the backend server, any file link on the frontend can now be clicked to download that file. Upon clicking the button, the component emits an event called delete-file to the parent. The frontend is ready to send AJAX requests to the backend. Now, we can delete files. When we click the delete link, we get an alert to confirm. If we click “ok”, the file is deleted from the backend folder and the information is removed from the database. That brings us to the end of our article. We created a file upload service which is capable of many file uploads. It enables us to delete the files and we can download the file as well. This is only a basic upload application. Possible expansions to this application could be advanced validation, upload progress, image preview feature, or multiple file downloads. Hopefully, this brought you some inspiration and ideas. As usual, if there are any questions, please tweet them directly to the author at @LaminEvra. Also, if you're building Vue applications with sensitive logic, be sure to protect them against code theft and reverse-engineering by following our guide.